Hello Supporters! The Internship has begun! First, I want to thank all of you who are supporting me in some way. Thank you for joining with us in what God is doing through our ministry on these college campuses. I also want to say that the fundraising process has been such a blessing. I’ve been able to reconnect with old friends, family, teachers and mentors from over the years. I‘m so thankful for all of you. God has really taught me through fundraising that we should always, in a sense, be ‘fundraising’ but no matter what vocation we are in or phase of life we should always be building support and relationships with the people around us. Through our lives we’ll all need prayer, advice or accountability. If we don't build a support team around us we won’t have people to call on for these things in our lives. So thank you to all of you for supporting me. A bit of a personal note, now that the internship has begun that means I had to leave my job at the daycare last Friday. It was bittersweet. I worked for an excellent team and will really miss my co-­workers. As well as my co-­workers I will also miss the kids. They were easily my best source of laughter each day. I have so many funny stories that I'll always remember. 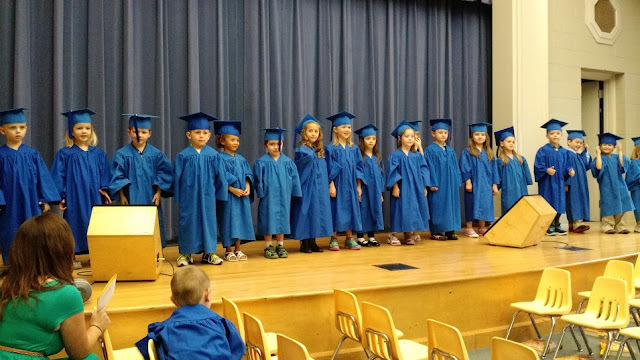 My Pre-K class at their end of the year graduation. Bellow is a card the kids and co-workers made for me on my last day. The kids comments made me laugh! So now the Internship! 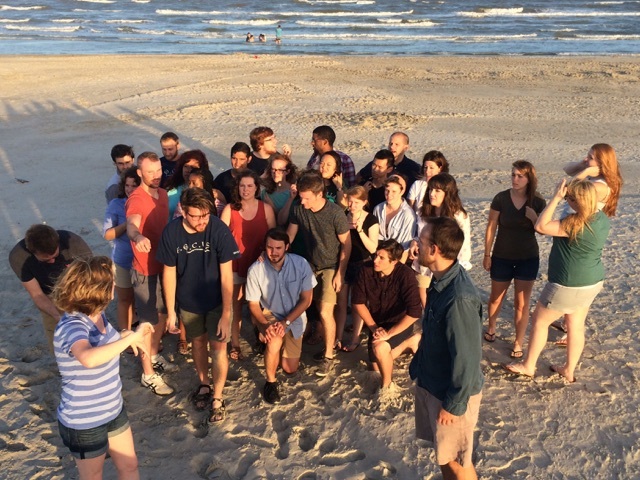 This week we had our staff retreat in Port Aransas Texas and the interns have been reading Genesis through Judges. Our reading of the Old Testament will help us to prepare for our Old Testament class that we will start in a couple weeks. Through these readings I’ve seen how faithful and loving our God is. I’ve seen how persistent He is to redeem His people and get to the greatest event all of all, His son and the Spirit amongst us. At our staff retreat we took time to plan, envision, and pray for the upcoming year, but we also spent time playing, sharing and laughing. At the retreat we reflected on how we all have been involved in the story of our community and ultimately how we want our community to continue in the story of God redeeming us. I work for an incredibly loving and fun team. This team wants us not only to be strong ministers on our respective campuses but for us to grow individually in our likeness of Jesus. I’m looking forward to working with them and laughing, being challenged and encouraged. Our theme this year is ‘Living the Future.’ We want to grow as a community that works to live by God's Spirit with a preparedness and excitement for His return. God has equipped us with the Spirit and we get to live and represent His kingdom here and now. I’m excited to see how this theme works to grow and refine our community as kingdom people and disciple makers. I pray we learn to rely only on the strength and guidance of the Holy Spirit and not our own efforts. The week of the 17th we and all our student leaders will begin our outreach efforts at our respective campuses. I’ll mostly be at NCTC and some at UNT, and TWU as well. This is our first year to be at NCTC (North Central Texas College) in Corinth. I am ecstatic to see what God does at this campus. We have a team of four student leaders who will be at that campus in classes and leading outreach events. The start of NCTC is exciting because it’s going to look very different from other universities we reach out to. NCTC is a commuter school housed in just one building, and the student population fluctuates with each new semester. Things to pray for! Be praying for us interns as we continue to read through the Old Testament and that we could not only understand the scriptures but learn more about who God is. Be praying as we go out onto our campuses in the next week. We will be moving in students, setting up games with students, eating lunch with students... So pray that we stay healthy, but that we are genuinely interested in these students we meet and that we do all we can to love and build relationships with them so that we can show them Christ.